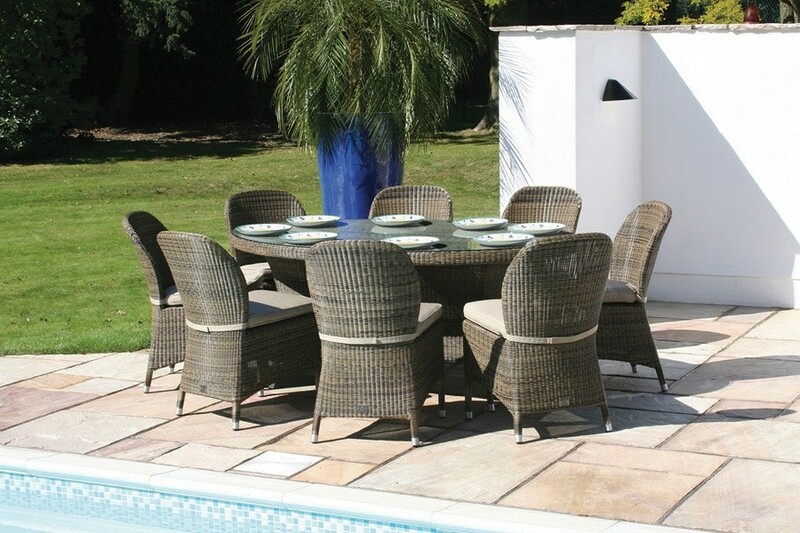 Revel around this gorgeous 180cm Sussex dining table complete with eight perfectly partnered dining chairs. 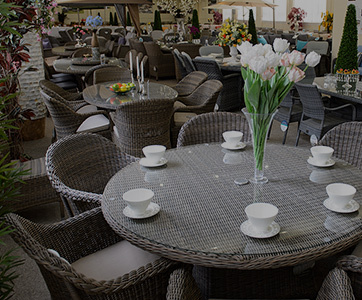 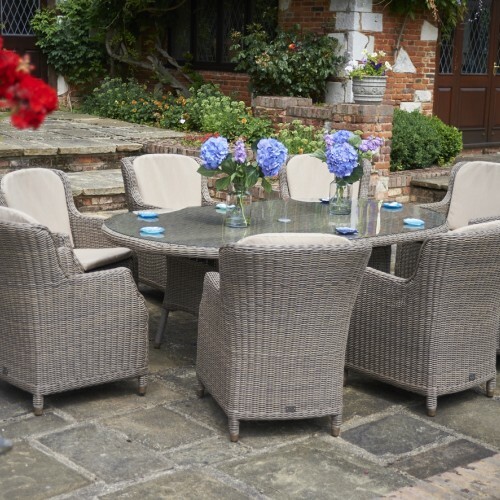 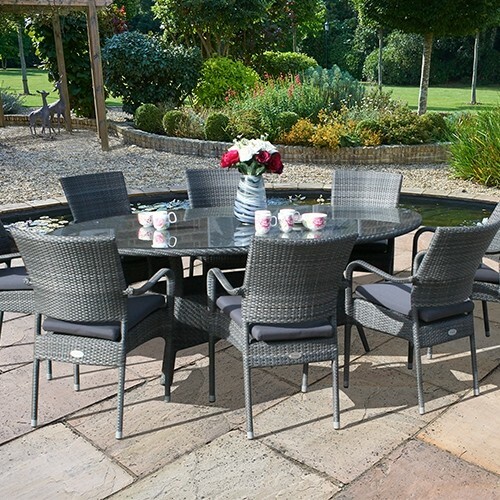 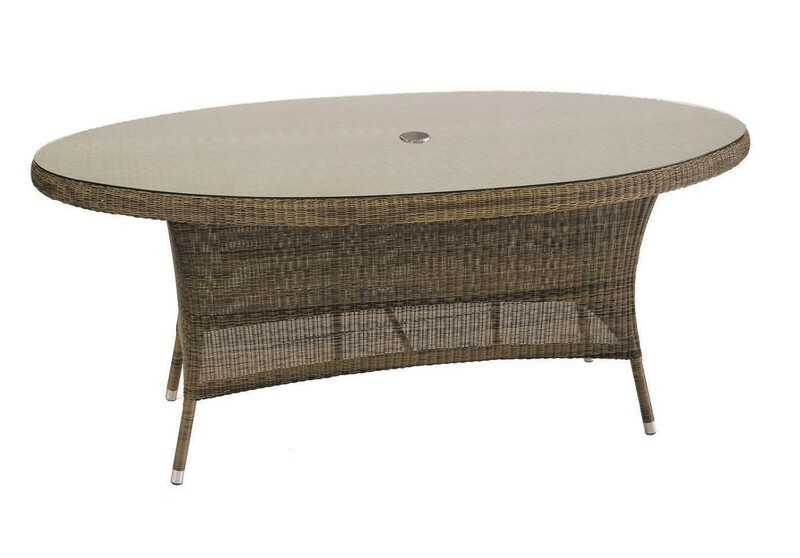 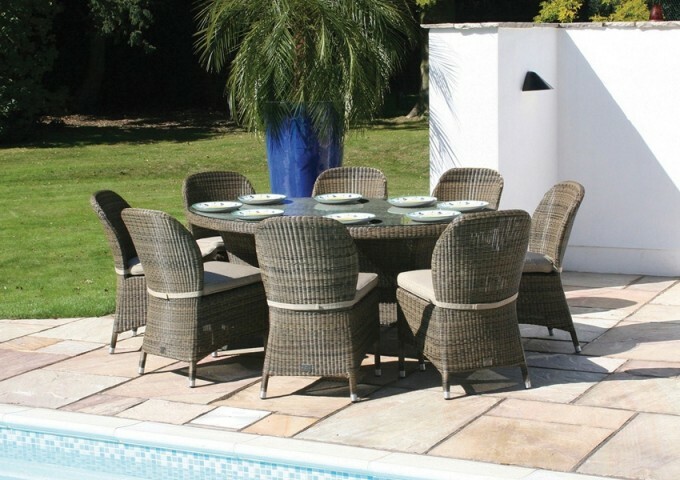 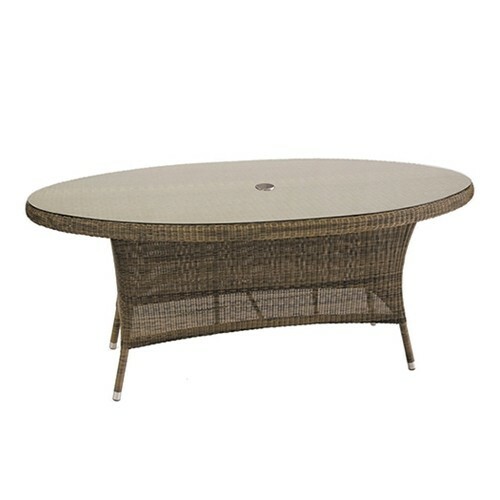 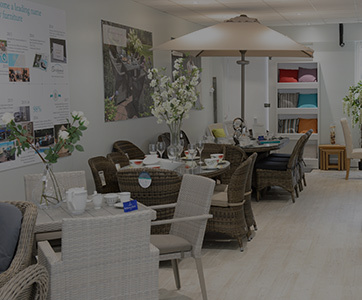 The round shape of the table is an especially sociable design, great for a relaxing summer gathering with loved ones, and will look fantastic on a patio or in a conservatory. 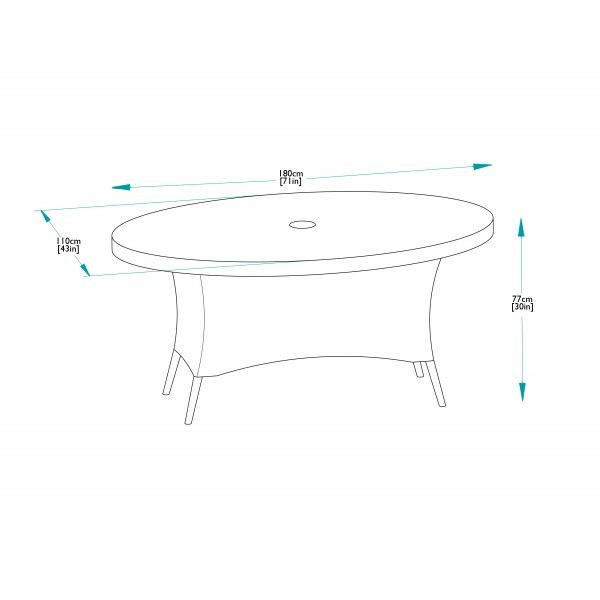 The table is topped with quality safety glass and a hole in the centre is incorporated for a parasol. 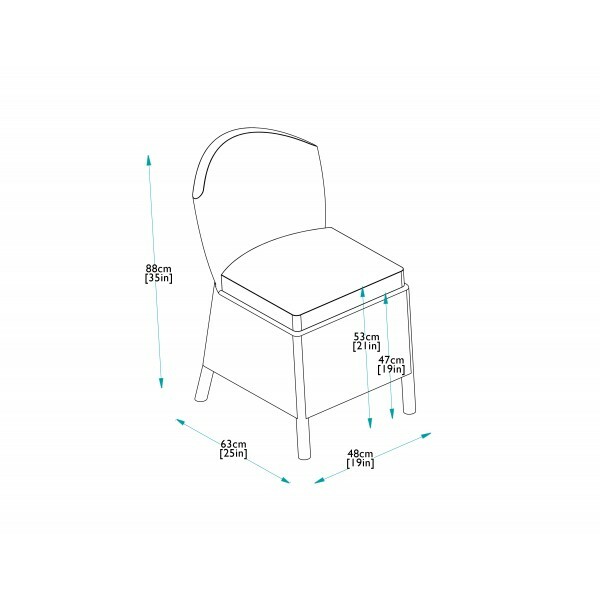 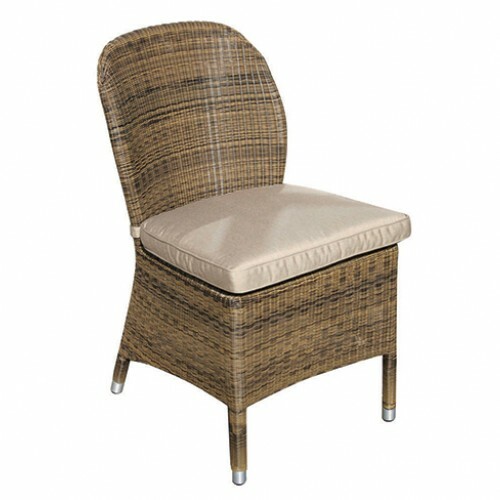 The chairs fan elegantly out from the table and provide the utmost comfort for your guests. 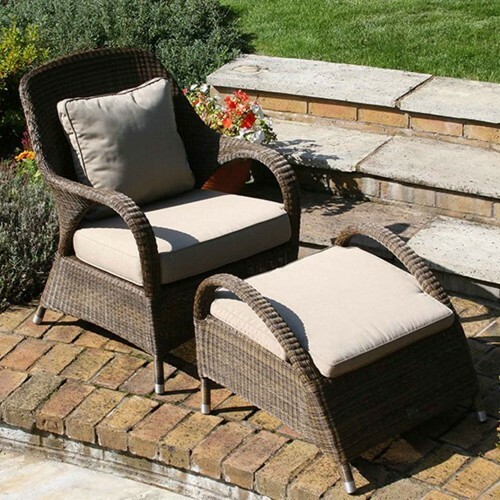 The seat cushions are toned in beige - or why not make hosting less hassle and upgrade to the fully waterproof cushions instead. 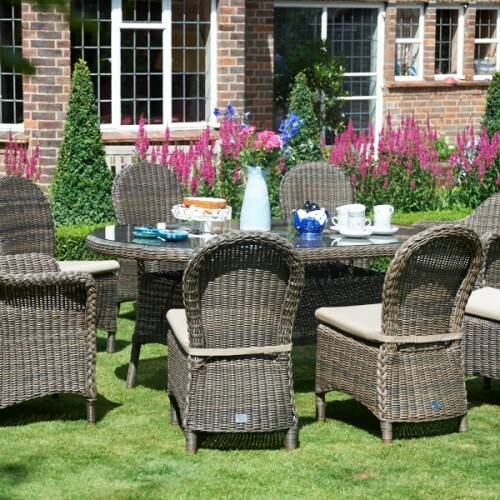 The Sussex collection impresses on a number of levels. Luxurious looks are most definitely covered with the curving design and exquisite woven finish in on-trend mocha tones. 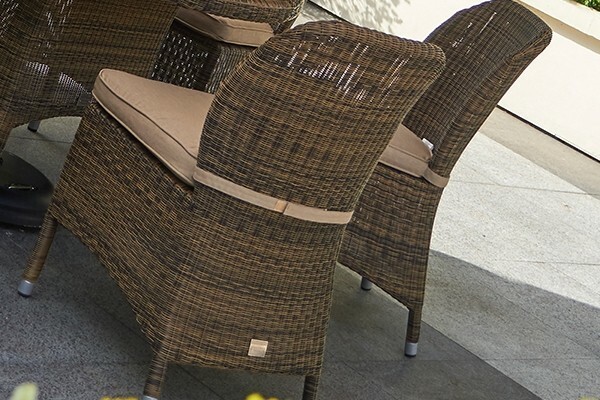 And these looks are guaranteed to last with the finest weatherproof materials used in the construction. 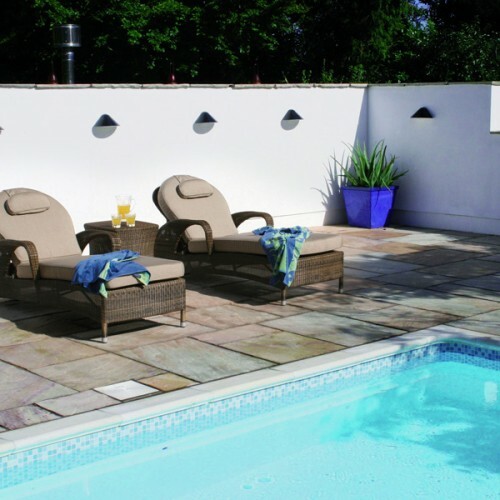 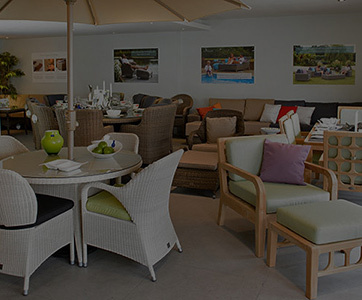 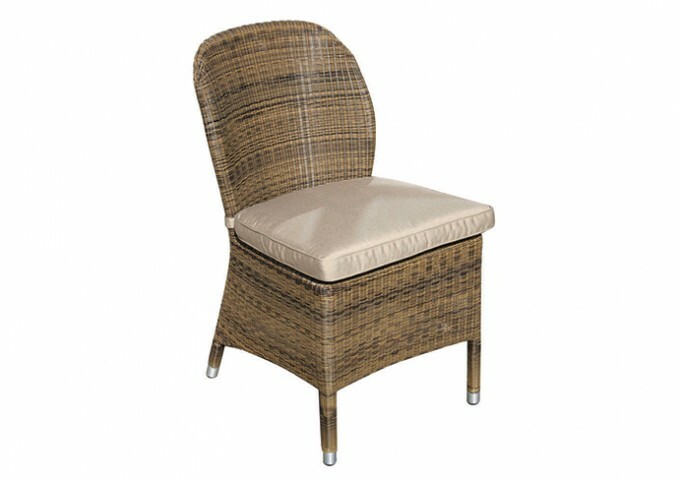 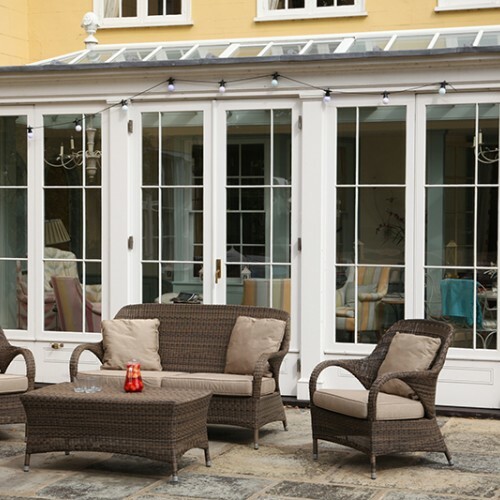 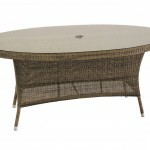 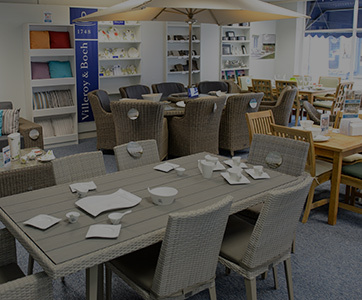 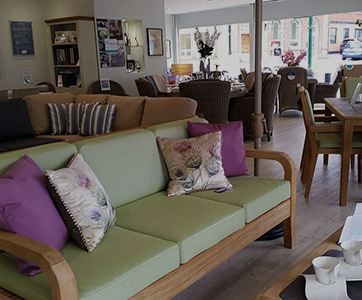 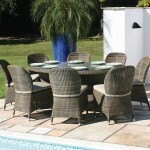 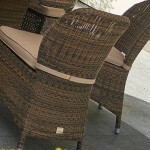 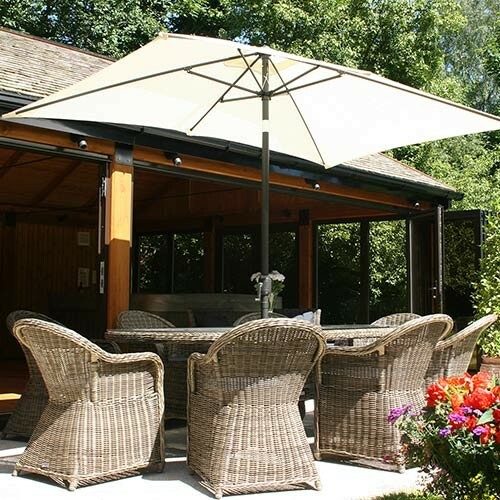 Aluminium paired with synthetic, all seasons rattan makes for reliably maintenance free furniture.